It’s the start of a new year, which means new year’s resolutions! Here are a few tech focused resolutions for you to set your sights on. Losing some weight, drinking less and quitting smoking are all pretty standard new year’s resolutions, but what about keeping your photos backed up? Or changing your passwords for more secure ones? 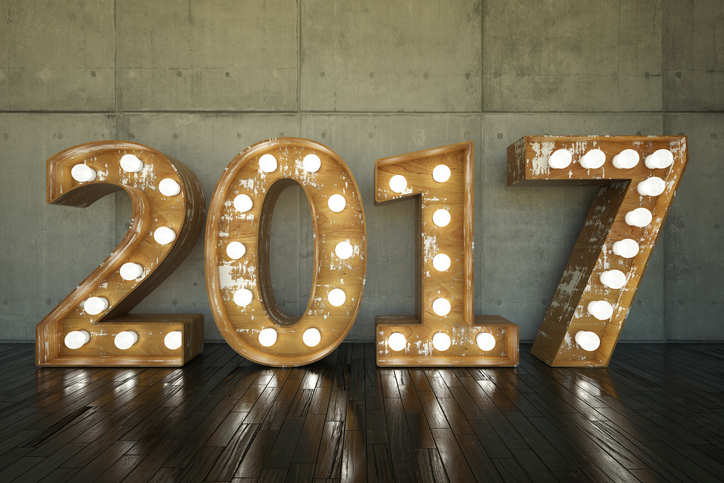 They certainly aren’t traditional resolutions but with the number of breaches we witnessed in 2016, the new year is a great excuse to polish up your personal IT security. Without further ado here are 5 simple ways to become more secure in 2017. Weak or predictable passwords like “password123” or “123456789” are bad, but those weak passwords being used on multiple websites or account at the same time is a major no-no. Even using a super secure password made up of numbers, capital letters, lowercase letters and symbols on multiple websites is bad. As we saw in the recent Groupon breach, which is being blamed on passwords be reused and obtained via other breaches. You could slog through your accounts and change your passwords, but how are you possibly going to remember all those complex passwords? Enter the password manager. A password manager helps you create, remember and store your super secure passwords in a super secure ‘vault’ of sorts. The only password you need to remember is your ‘master password’ for accessing your password vault. If you’re interested in a password manager but don’t want a third-party one, try ESET Smart Security Premium, which now features a built-in password manager. Backup is the best way to combat ransomware, full stop. If you have a recent backup and you get hit with ransomware, no problem. If you don’t have a backup, or you haven’t been keeping that backup up-to-date, then kiss goodbye to your files. If you only have a few files which you want to keep safe then perhaps manually backing up to an external hard drive or USB memory stick might suffice. If you have a large volume of files, like photos or videos, then doing it manually can become a chore. Luckily, there’s plenty of software out there which can automate your backups, some even offer a limited amount of free cloud backup. In the UK we’re still in the dark depths of winter but it’s never too early for a bit of a spring clean. We’re talking about cleaning up those programmes you might have used once and never looked at again. Not only will you free up some memory but you’re closing down a potential avenue for attack. If you haven’t launched that programme in ages then you likely haven’t updated it in ages, which means you don’t have the latest security patches and a clever hacker could use that to their advantage. Whilst you’re at it, perhaps try getting rid of Flash Player and Java, if you don’t miss them then great! Flash and Java are two of the most vulnerable pieces of software in existence and have been used frequently as an attack vector. That’s right your handy smartphone needs protecting too! It’s time to stop thinking of your smartphone as a phone and start thinking of it as a small PC which you take everywhere (particularly if you’re using an Android device). Malware targeting Android based devices has increased exponentially over the past few years, so getting some form of anti-malware protection is a must, and it just so happens that we offer one. This one is for more advanced users who want to make sure their data is super secure, particularly data in-transit. Ever left a memory stick just lying around? How about your laptop? Ever lost, misplaced or had it stolen? If your data isn’t encrypted, then there is very little stopping someone accessing it. Encryption essentially scrambles your data, making it completely unreadable to anyone who doesn’t possess the correct credentials or password. If you store private photos, personal documents or financial information on your laptop, a memory stick, or even your PC then encryption is worth looking into. Older How secure is public transport?